Patara Beach is 11 miles west of Kalkan by road on Turkey’s Mediterranean coast, and is a very long and uncrowded beach. Patara Beach is 12 miles long and 50 meters wide, and never crowded. 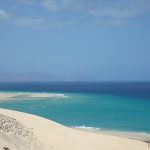 The beach is a 12 kilometer long sandy beach set between mountains and sand dunes along the back of the beach. Voted as one of the top beaches in the world, it is known as the “widest beach of the northern Mediterranean. Only a 15 minute walk from some of the major ruins, and even in the height of summer it is never crowded. There is a cafe, and you can rent sunbeds and umbrellas. The beach is why most people visit Ölüdeniz. 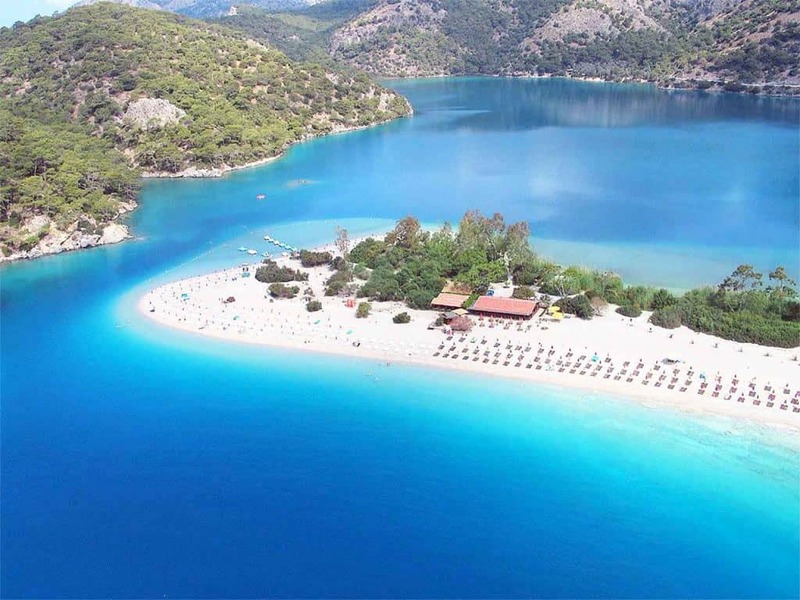 The famed lagoon beach is a protected national park (Ölüdeniz Tabiat Parkı) that you pay to enter. Both the public beach and lagoon get heavily crowded in summer. There are showers, toilets and cafes, and sun-shades, loungers and paddle boats can be rented. If you’re looking for an easy-going day on the beach, you can’t really go wrong here. And, if you’ve always wanted to throw yourself off a mountain, Ölüdeniz is one of Turkey’s top destinations for tandem paragliding. Çıralı beach is 3.2 km. long and is one of the best beaches of Turkey. Olympus ancient city and unquenchable fire of Lykia; named Chimera is located in the right and left hand side of the beach. 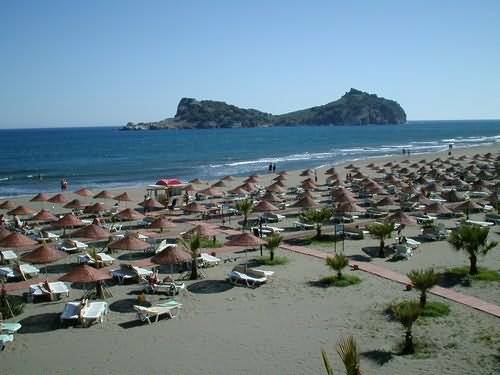 Çıralı is has a significant reproduction area for caretta caretta species sea turtles with its clean sea and quite beach. Çıralı Beach offers you a lot of options on attractions at the beach to include daily boat and yacht trips, canoeing, kayaking, fishing and snorkeling. There are also rental bikes available. 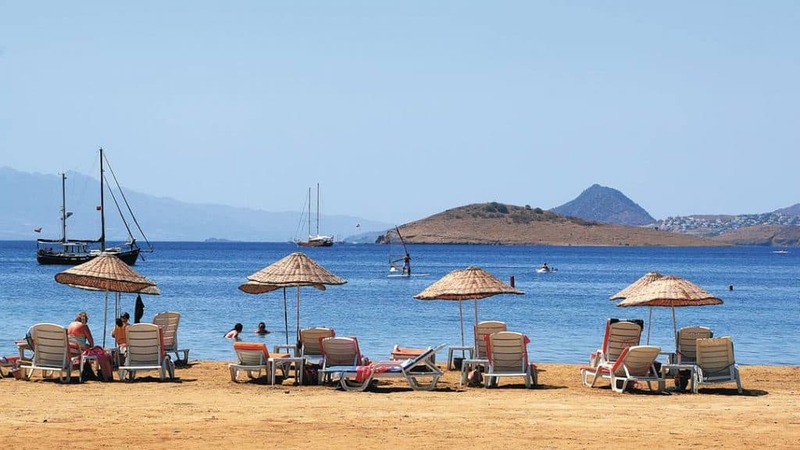 Bitez Beach & Bay is approximately 6km from Bodrum, and has a crescent shaped cove with a long sandy beach. The area is well maintained, with lots of olive and citrus groves. Bitez Beach and bay is known as an ideal location for water sports, because of it’s calm and shallow waters. 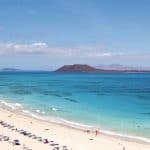 It attracts beginner windsurfers in the morning, and in popular with intermediate and advanced windsurfers in the afternoon when the off-shore winds pick up. Enjoy scuba diving, windsurfing, parasailing, water skiing, banana boats, sailing, kayaking, and much more! Turtles and tourism coexist on the protected 4.5km of hard-packed sands of Iztuzu beach. Tracks emerging from the sea are visible on the sand in June and July, where turtles have dragged themselves ashore to lay their eggs, and the marshes behind the beach are often alive with other wildlife too. While lack of shade is often a problem on this beach, the gently shelving seabed calms the choppy waters, making Iztuzu excellent for children. The small village of Kabak is the perfect place to escape package holiday groups and most visitors come here to chill out in one of the many wooden huts and bungalows, set in the pine-forested valley behind the sand-and-pebble beach. Wear mosquito repellent in the summer though, as these pesky insects are everywhere. Arguably the best (and closest) of several south coast beaches, just 10km from the town, this beach is 1500m of sugary blonde sand, lapped by warm, pristine water. The salt lake just inland is a major habitat for migratory birds, especially flamingos, and the entire area is supposedly a protected reserve – though this has neither prevented tourist development nor deterred Balkan tourists from wallowing in the shoreline’s black mud, said to have healing properties. People visit Kemer for sun and sea. The beaches are mostly of large pebbles and stones, although the ones near the yacht marina and Yörük Parkı are of sand. Visitors to Kemer can find a variety of beautiful golden sand beaches. Kemer beaches also have a variety of water sports activities such as parasailing, jet skiing, banana boat rides, snorkeling, scuba diving and more. There are also plenty of boat trips from Kemer. Moonlight beach, located just behind Kemer marina, is one of the beaches of Kemer and the main beach in the area. Shops and restaurants have signs, ads and menus in Russian, Arabic, German and other foreign languages for the benefit of international visitors. 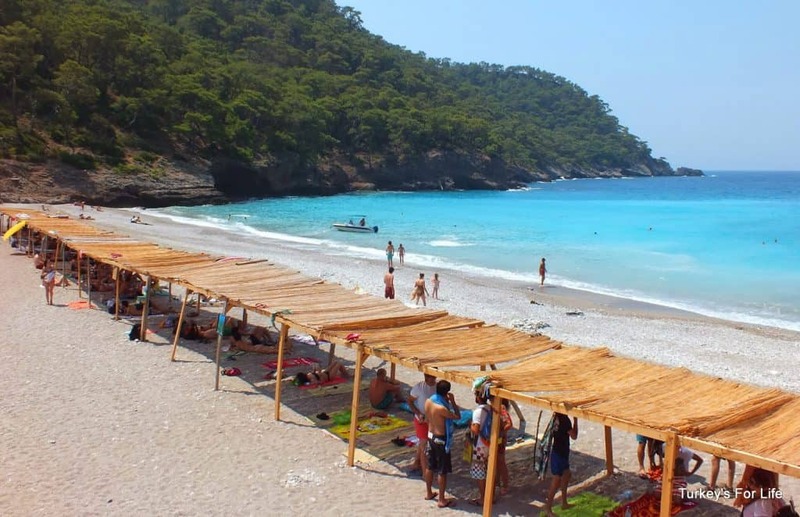 Kemer is great for have a sun-filled fun day at the beaches. It is a beautiful stretch of sand; tiny grains, almost powder-like between your toes, and sun loungers set back from the sea, with boardwalks between bed and water. Its in turtle nesting territory, so beach chairs are carefully placed. Sarıgerme Beach is controlled by an organization known by its acronym SARÇED, which enforces its rules and keeps the area in good condition. If you are a beach worshipper and you are a love sandy beaches, then Sarıgerme is going to be a great beach for you. 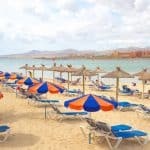 If you’ve got kids and you need a beach vacation where beach, big hotel, pool, kids clubs and activities are right at your finger tips then again, Sarıgerme beach is the place for you. 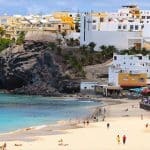 It is a beautiful little place and has a number of places serving food and drinks, with umbrellas and beach chairs rent. Going to beaches is one of my most favorite kind of items. I have been to many beaches here in my country. I love the beach experience and would love to spend some memorable time at the Cirali beach in turkey. I love other beaches there but I would love to start with cirali beach. I have seen the pictures of the environment and atmosphere. I can’t wait to catch some fun there. I am sure you will catch some fun in Turkey and especially at Cirali Beach! Thanks for visiting the beaches in Turkey! Wow, I’m not even going to pretend I know how to pronounce it but Ölüdeniz Beach is absolutely GORGEOUS!! 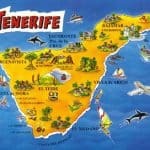 Do any cruises go by any of these beaches? I think they would make nice views for one. Çıralı Beach makes me want to go snorkeling. Do they have snorkeling groups or is it something I would have to do on my own? 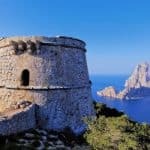 I was also wondering if you could help me plan an itinerary here? I would love to spend about two weeks in Turkey. I think the whole area looks beautiful, so doesn’t matter where. I would like to be somewhat budget conscious with hotel accommodations. And a hotel right on the beach would be perfect for me. Looking forward to hearing back. I would love to put together something for you. I am going to send you an email with a few questions so I know exactly what you are looking for. I will look forward to hearing back from you. 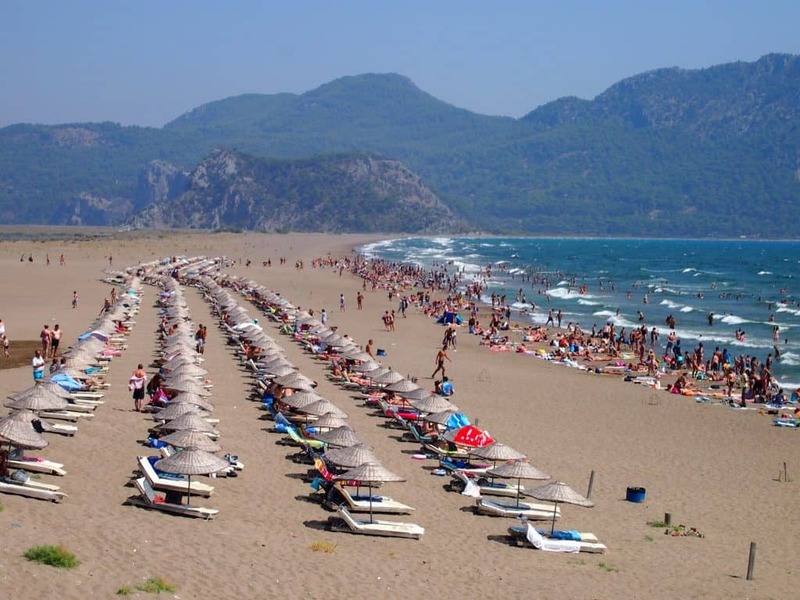 Great article with beautiful beaches in Turkey, I never knew they were so many beaches there! The pictures of the beaches looks so beautiful and peaceful and it make me want to travel. The Patara beach looks to beautiful and peaceful. From the picture it does not look too crowded, which I like. I don’t like a beach that is wall to wall people. Great information. I want to vacation to Turkey now! I’m glad you enjoyed and thanks for your visit to the best beaches of Turkey. Wow, the beaches in Turkey look amazing! It is really hard to decide which one is the best, they all look amazing. But I do like Sarigerme Beach just for the nice powdery sand. I can feel it now between my toes, while I lay on my lounge chair with a nice cool drink! You have me packing! It’s on my bucket list and I hope to go soon! Yes, Turkey has a wonderful selection of beaches, and I don’t think you can go wrong with any of them. Thanks for stopping by beach travel destinations. Awesome, awesome beaches. You have such a lovely and exciting website. I am sure that you thoroughly enjoy your ‘job’, although I do not think you call it that. Somehow I did not expect this many beautiful beaches in Turkey. You did a great job exposing them. 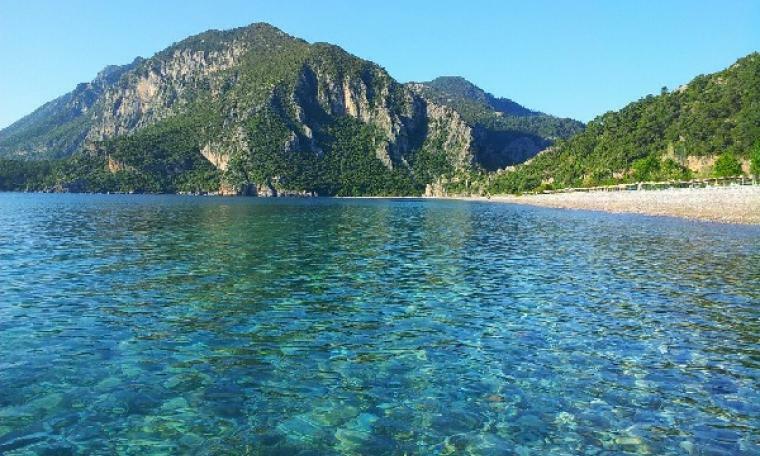 I particularly like Kabak Beach – it looks secluded and safe for a peaceful, and romantic getaway. Can I ask a question? Do you actually get to visit these wonderful, touristy places? Keep up the good work. You are doing a marvelous job. Hi! I come from Europe, to be more precisely form Slovenia ( small country in Balkans). Turkey is not that far, just about 4 hour drive with a plane, and of course I’ve been to Turkey couple of times, and let me tell you – it was great as hell. I was visiting Antalaya and often went to Kemer beaches, and I was there in septmeber, and water was warmer than the air – 30 degrees when air had 28 degrees, overall I had the best time, and would strongly recommend it to anyone. I agree 100% Definitely worth vacationing too. some don’t like the water warm, but I do 🙂 Thank you for visiting the beaches in Turkey. Great post! Didn’t realize there were that many beaches in Greece. The pictures of beaches look so inviting and great places to go to. I personally fear traveling anywhere there would be any fear of threats like terrorist, as there has been so much lately. 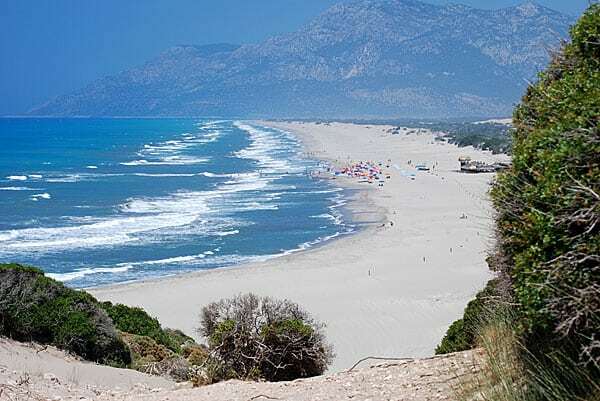 The Patara Beach as you stated is the most peaceful beach because of the absence of developments and overcrowding from water sports activity as I personally love the peace and quiet. Visiting ruins and historical sites is a great plus for me since I enjoy this type of travel. Great post! Thank you Rosa for visiting Beach Travel Destinations. Yes, I enjoy being able to enjoy historical sites and ruins as well. Nice that you can have it all in one place. I will be adding travel alerts to destinations as well, so that visitors are aware of any dangers. I have fallen n love with the spectacular views of these beaches. I love the order at Serigerme Beach and would prefer to get lost in Aydincik Beach. But what I notice in most of them is that they are not so chaotic and overly crowded. This is a big on-point reason for me to visit any beach. Great collection! Thank you Daniel. Yes, not having to fight for towel space is definitely nice. Especially if you want to just relax and enjoy the beautiful view, the ocean, and of course the sand between your toes! Thank you for visiting the beaches in Turkey! I too thing that Iztuzu Beach is a great choice. Watching the turtles is pretty amazing all by itself, not to mention the beach and scenery. 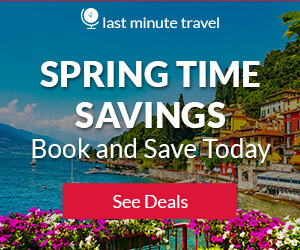 Let me know if you need any additional information on Beach Travel Destinations. Great job! I like your pictures and I like the small village of Kabak more, I like the design of the shade protecting you from the sun. You laid you information very good, It is easy for people to know what to expect before they travel. I’m so glad you liked my website. I am trying to make it a one stop for everything you need to take a wonderful beach vacation. Thank you for visiting the beaches in Turkey! Your website looks beautiful! The layout is very nice to read from, you have clear bold headings and nicely positioned images. Your images are completely relative to your text and make the page as a whole really brighten up. Text is nice and factual and can be very helpful for people who are looking for their perfect beach in Turkey. Thank you so much Tyler! I’m trying to make it a site that has everything…getting there! Thanks for visiting Beach Travel Destinations! Wow – they all look so beautiful! I’ve always wanted to travel to Turkey, and this makes me want to visit more than ever. Great descriptions. My only worry is the safety of travelling there right now, with all the terrorism that has been happening. Of all these beaches, which one do you recommend the most? Have you been to them all? I am going to say Sarigerme Beach because I like to have lots of activity and things to do, and you find that at this beach. No, I have not been to all these beaches, but I sure want to 🙂 Thank you for visiting the Beaches in Turkey! I love your site and would love if you can help me set up my page. I am having problems setting up my search engine and navigating on selecting and item and going to it and viewing things I want to post. I want to post plus size clothing with categories on leggings ,blouses ect. but I have never done this and not sure how to do this. Any help I would really appreciate it. Thank you. You did a wonderful job.